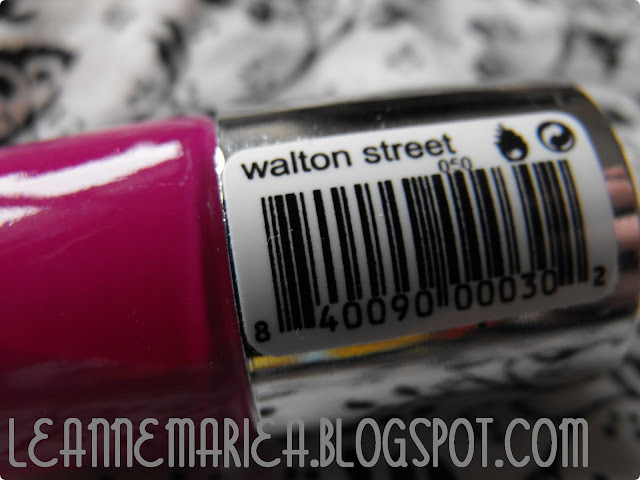 Nails Inc - Walton Street. I love the consistancy of nails inc polishes, I am continuously finding myself reaching for one of the shades I own over every other brand I have. TKMaxx currently have a couple of sets for £11.99 (3 polishes) Slightly tempted.. Ha! I really like this cardigan from Miss Guided. It just looks so snuggly and warm! I've been trying to win it through twitter and facebook, but no luck yet! Fingers crossed! If not I guess I may make a cheeky purchase if my E-bay items sell! Im a bit sick of sticking to the same earings all the time. I have my ears pierced three times on each side and at the moment I just have plain silver studs in them. I feel I need to get a bit more adventurous.. Even though most of the time my ears are covered as I wear my hair down ALOT. These colours from the new makeuprange from Topshop are gorgeous. I love them! The only black pair of boots I own are the suede wedge ones I got for christmas. I thought these looked nice and comfy and could be easily chucked on with many different outfits. I know its not really 'winter' anymore but the fact they are fur lined makes me want them even more. How comfy! What's on your 'Wednesday Wishlist' this week? 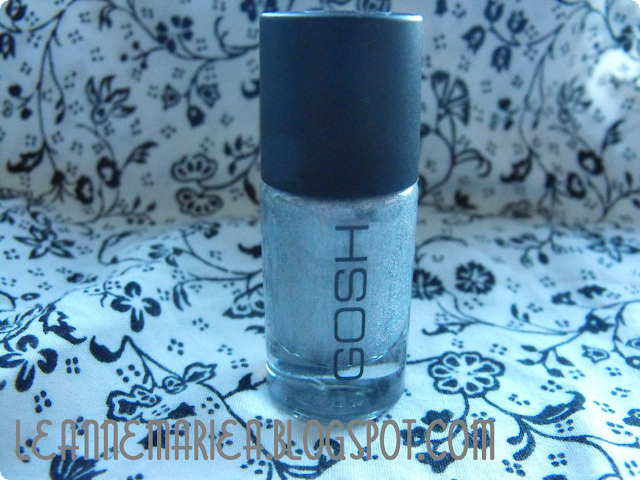 So here we have the infamous Gosh Holographic Nail Varnish. This is so hard to get hold of, I didnt realise till the other day that people sell this on Ebay for totally insane amounts! I managed to get this one for £2.49. Bargin! I checked my two Superdrugs in my town and I managed to nab the last one! woo. 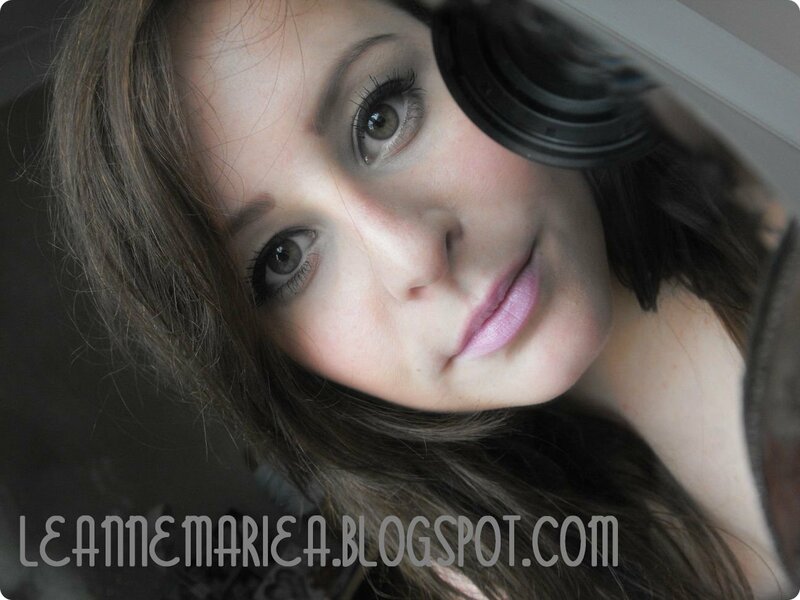 So many bloggers have done posts on this, So I am sure you know all about it! Basically. This is about 3 or 4 coats. At first its quite streaky, but thin layers are key. It dries really quickly which is a bonus! And above is the finished look! It's a bit crazy for an everyday nail, but perfect for nights out to jazz up a plain black outfit. I am sure it will be a talking point too! Hope you're all well. Only two days left of the working week, Yay! Bring on the weekend! 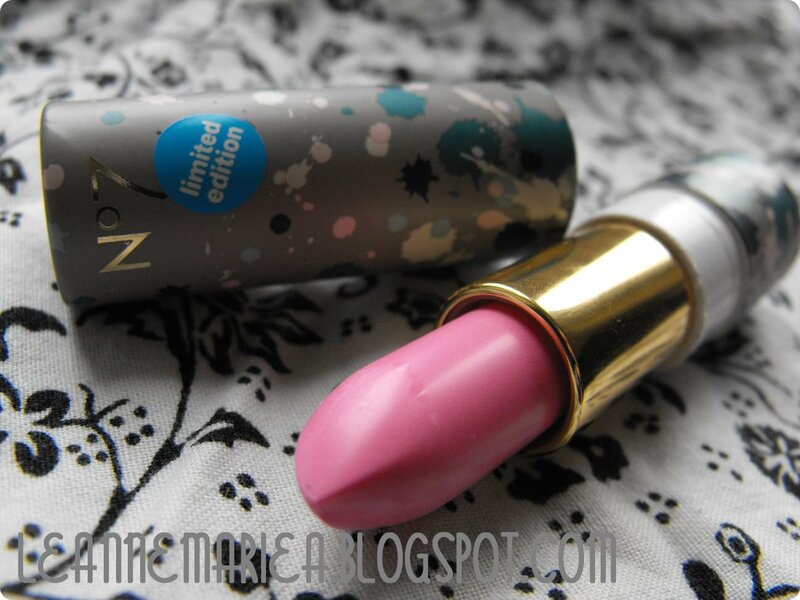 I feared it would be sold out, as what girl doesnt like a pink lip? 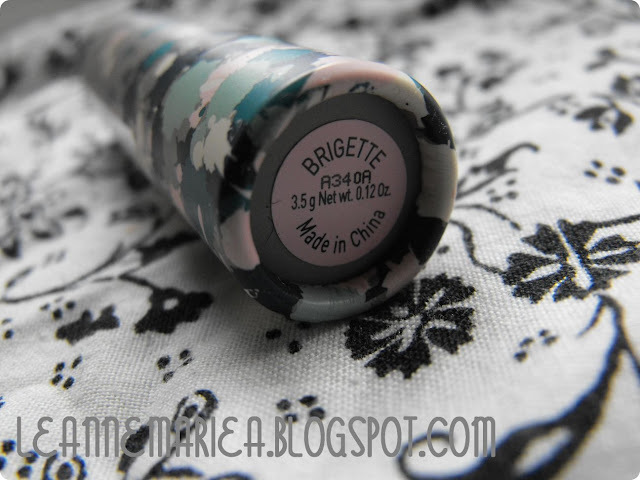 But there they were, stood in a row the Brigette lippys! So of course I picked one up. Unfortunately I didnt have a NO7 Voucher so I paid full price for this baby which was £10.00. As a rule I dont like to spend more than that on a lipstick, so this was at the top of my budget! 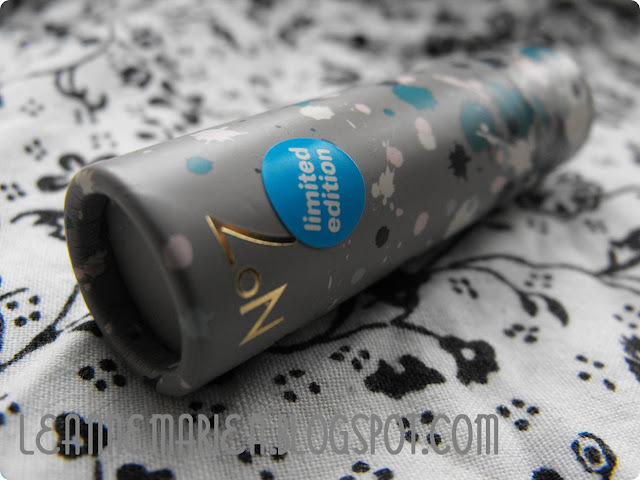 I really like the packaging for the lipstick, instead of the usual plastic casing it has the hard cardboard style case, with a gorgeous graffitti pattern over it. I do worry that this could get ruined quite easily if you are one to just chuck a lippy in a bag (me) rather than storing it in a makeup bag. We shall see over time though! 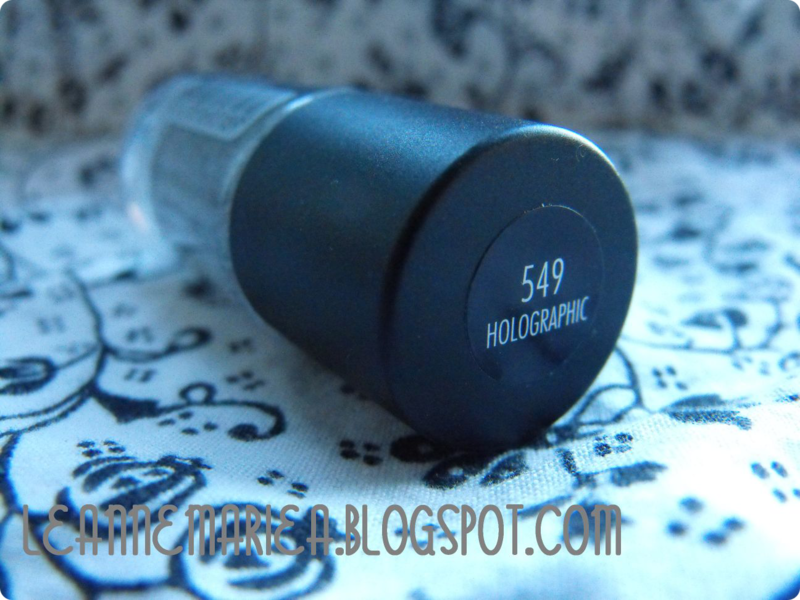 The colour pay off for this lipstick is really good, when you look at it in the tube its a bit. 'Oh my gosh this is going to be mega bright', but actually its the opposite! You can swipe it quickly on your lips for a quick pink sheen, or build it up for a more brighter colour. I think it would look fab with smokey eyes for a night out. Which is what I plan to do next time Im out on the town! It isnt drying and goes on smoothly, It's similar to No17 mirror shine lipsticks as it has a bit of a shine to it and feels pretty moisturising. As you can see it is a really pretty shade, its got the right amount of pink and lilac in it. I dont know if it is one that would suit everyone though, I couldnt advise on what skin tones should and shouldnt wear it as I am no makeup artist! I just suggest trying it out and deciding for yourself! The money burns a hole in my pocket. As you are all fully aware, in the month of January I didnt have much money due to the big spend on a new laptop. Well February is here, I've had pay day and that money is (as the title suggests) burning a hole in my pocket! I picked up a couple of items in boots when I was shopping for some giveaway prizes. Nothing special really but I thought I would share with you. Firstly I stocked up on some Shampoo and Conditioner. I've always been a fan of Tresseme products and this particualr range caught my eye. The products are lower in sulphates and silicone free, therefore better for your hair. The text on the bottle claimes "10x stronger hair after just one use' Now the saying goes. Dont believe everything you read.. so until i fully test out the two I cant comment whether that claim is correct! Currently in boots, Umberto Giannini Glam hair products are on offer for 3 for £10 which is a really good deal considering most products are around the £6 mark so you do get a bit of a saving! Now we all know I am a fan of backcomb in a bottle. You can see my review here I figured, why not give some of the other products a go. I have already tried the massive mousse from the range and wasnt as impressed but I still am willing to give the others a chance! Ive always liked the messy hair look, It used to be my regular hair style back in the day, until recently where I have been getting the hair straighteners out of hiding and using them on a day to day basis. This grunge glamour tousled salt spray claims to give you that 'lived in look' and 'come to bed' hair. To be honest I just want a messy do that looks half polished and not like ive been dragged through a hedge backwards! Next I picked up the 'Rock and Roll Extreme Hair Spray' This was a bit of a 'what shall I get as I have batiste dry shampoo at home so dont need anymore and I already have backcomb in a bottle' purchase! I am running low on my current hairspray.. it does its job but doesnt have fantastic hold. According to Umberto Giannini stylists...this hairspray will ensure my 'do' lasts all night and well into the next day.. We shall see about that! Have any of you tried these products out yet, What did you think if you have?